Pass Your DOT Medical Exam! Dr. Farmer knows how important it is that you continue your livelihood as a commercial driver. With their extensive knowledge of the DOT Physical Exam medical guidelines, Dr. Farmer will steer you through the DOT Physical Exam requirements so you can Keep on Truckin’. 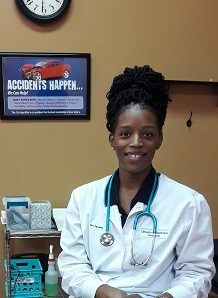 Looking for a DOT Physical Exam or CDL Physical Exam in Lithonia, Georgia? You’ve come to the right place! From I-20: Take the Turner Hill Exit (#75). Head North for roughly 5 miles. We are located in the plaza at the corner of Highway 124 and Rockbridge Road. Landmarks include: Waffle House, DMV, Family Dollar, Package Store. Dr. Farmer can keep you Truckin'! Just give her a call!